Hi, as salon owner and senior stylist the job of running a busy salon is no easy task in this present climate. I left school at sixteen taking up an apprenticeship at Viccar’s Hair Salon in Hove. After spending nearly seven years there I then moved to D & K Hair Salon in Brighton where I spent a further three years. I then brought my first hair salon in Western Road, Brighton, called Uppercuts. Which was already established at the time by Roy Harnett he of the Brighton Tigers fame. Uppercuts having been established for many years in Brighton, rather than change the name I decided to keep the name and move the salon forward to create a high standard of hairdressing in the Brighton area. Then in 2003 I was given the opportunity to expand Uppercuts and open a second hair salon this time in Portslade. After three and a half years, I moved the whole operation out to Portslade as parking in Brighton was becoming very frustrating for my clients, my staff and myself and have never looked back. Many of our clients from all over Brighton and afar still continue to make the trip to my Portslade salon, which fills me with great pride to think they have faith in my ability and my staff as their hairdressers and look forward to many more years as after all these years I still get a great buzz doing hair. Donna has been part of Uppercuts since 2008. Before joining Uppercuts she had always worked in successful Brighton based salons. Her choice to move out of the town centre has enabled her to provide her clients with the same standard of service in a more convenient location. Donna has been in the hairdressing industry for nearly 20 years. She began her hairdressing career in a small exclusive Brighton salon called Fields, whilst also studying and gaining her NVQ level 2 at college. Some years later she completed her NVQ level 3. After 11 years at Fields she felt the need to move on to another salon in order to grow in experience, she spent a further 4 years at David Ziggy’s in Western Road. Donna is trained to a high standard, she keeps herself up-to-date with the latest techniques. 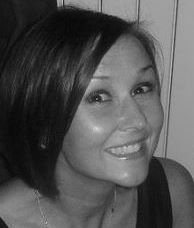 She is a valued member of the Uppercuts team and has added many clients to her already loyal clientele. Jemma is the youngest member of the team, she joined Uppercuts in 2008. Jemma has known from a really young age that she wanted to become a hairdresser and after leaving school began her journey into hairdressing. She achieved her NVQ level 2 two years ago and has spent her time since developing her skills by doing a Matrix Advanced Colouring Course, and more recently completing her NVQ level 3. Her training within the salon has allowed her to progress to a higher level of hairdressing and has enabled her to create an impressive clientele.